NEW! 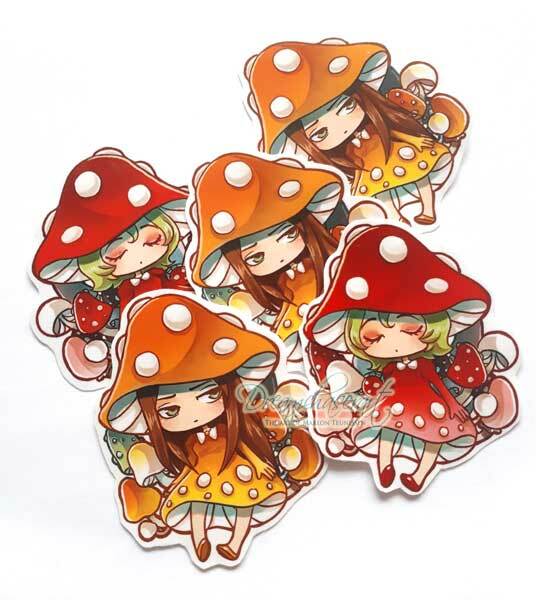 Toadstool girls stickers in the shop! chibi versions from my artwork “toalstoolgirl Jenny” along with her cousin “toadstoolgirl Lilly” have been added to the shop as stickers! Perfect as gifts to yourself or a loved one! Updated Kingdom Hearts sticker and magnet sets Drama Queen stickers now available! !